STARBUCKS Free Wifi Service You have to register for ID/Pass before visiting Starbucks. Your e-mail address is required. 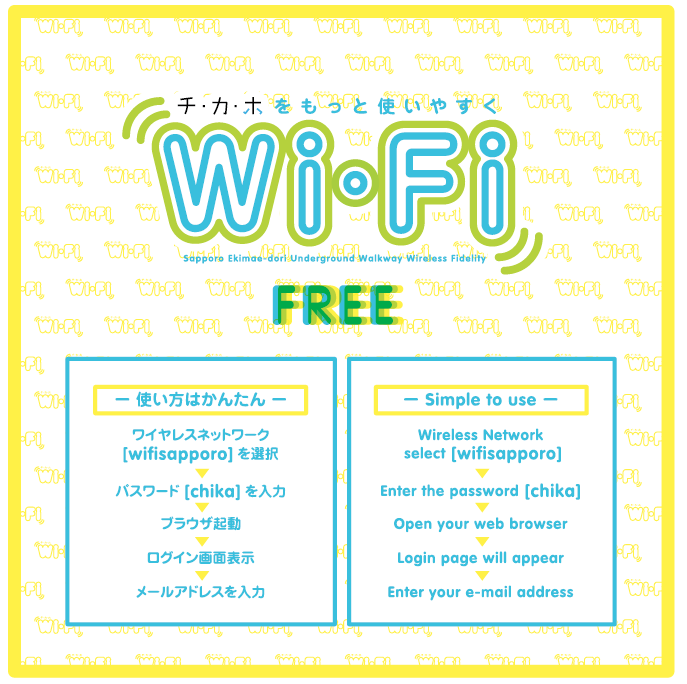 You can use 30 minutes Free Wifi service in the underground walking area called “Chikaho“（チカホ：札幌駅前地下広場）. 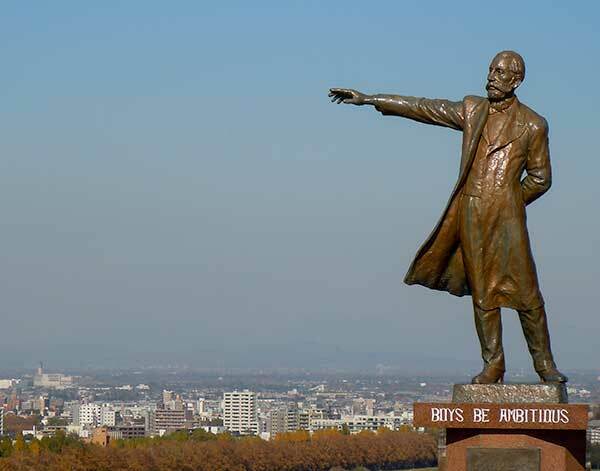 The location is placed underground between Sapporo Subway Station and Odori Subway Station. You will see this sign below. When you walk around this area, Ishiyaseika’s Cafe in Chikaho near Odori Station, you can find Free Wifi access with your smart phone. Try it and have a break with a cup of coffee and some sweets in Ishiya Cafe.